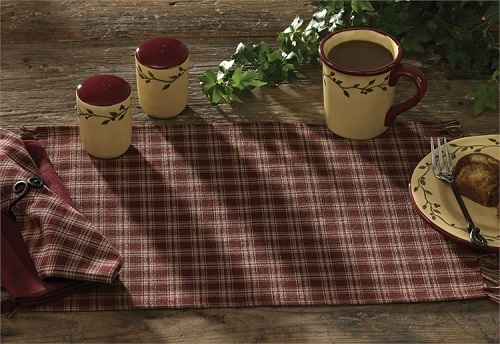 Your family and guests will love gathering around your table when you decorate it with warm and welcoming country table linens from Christmas Tree Hill. 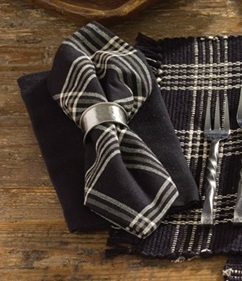 This collection includes everything you need to decorate your dining room table or your less formal kitchen table. 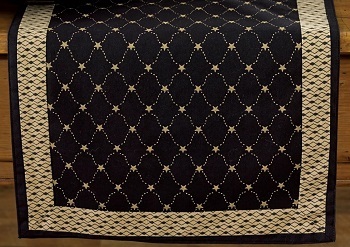 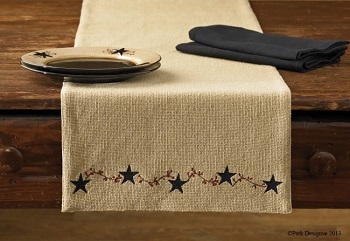 Begin with one of our beautiful table runners and then choose matching fabric placemats. 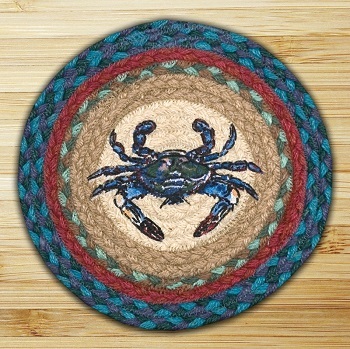 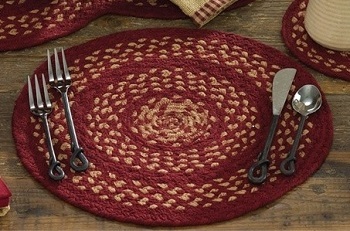 Add a set of trivets and cloth napkins to finish the set. 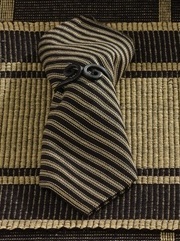 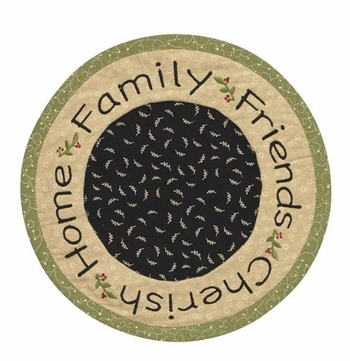 Each of these pieces comes in a variety of different fabrics, colors, patterns and styles. 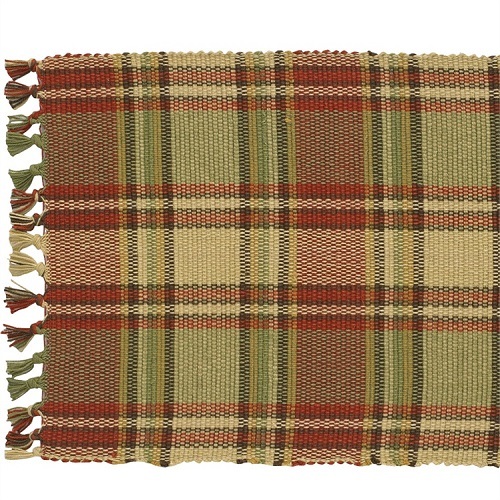 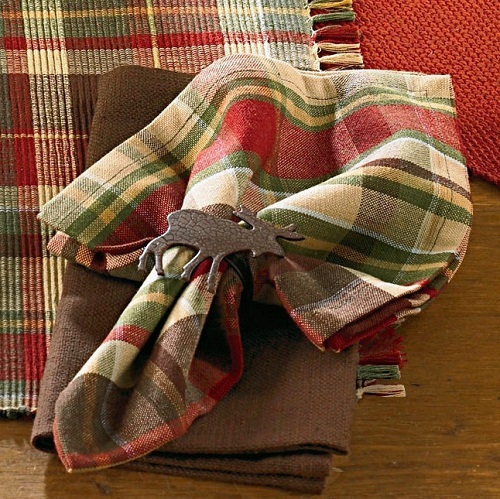 Match them to your country-style valances or curtains or use them as the basis for your dining room redecoration. 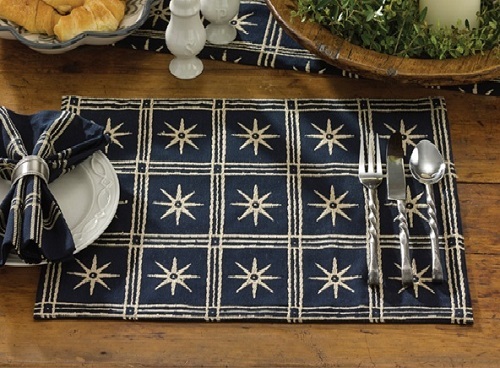 No matter what your table size or shape, you’ll be sure to find the perfect table linens for your dining area. 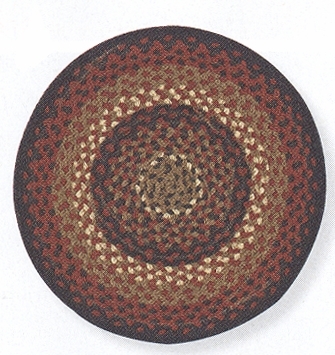 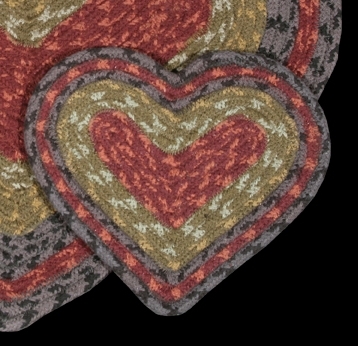 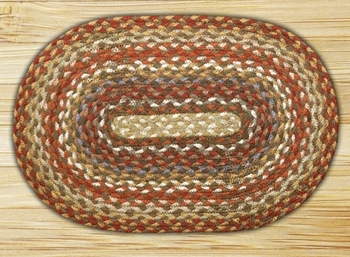 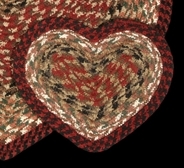 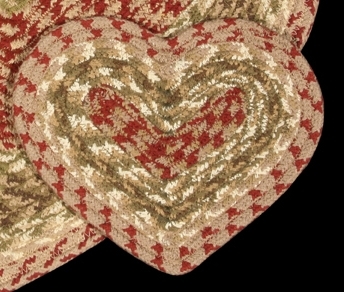 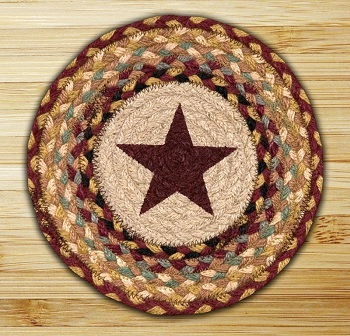 Braided Heart Trivet - 8" x 7" - "Burgundy/Mustard"
Braided Oval Placemat - 13" x 19" - "Burgundy/Mustard"
Braided Round Trivet - 8" - "Burgundy/Mustard"
Braided Oval Table Runner - "13" x 48" - "Burgundy/Mustard"
Braided Miniature Oval - 10" x 15" - "Burgundy Stars"
Braided Miniature Oval - 10" x 15" - "Honey/Vanilla/Ginger"
Braided Miniature Oval - 10" x 15" - "Mocha/Frappuccino"
Braided Miniature Oval - 10" x 15" - "Olive/Burgundy/Gray"
Braided Miniature Oval - 10" x 15" - "Black Cherry/Chocolate/Cream"
Braided Heart Trivet - 8" x 7" - "Olive/Burgundy/Gray"
Braided Heart Trivet - 8" x 7" - "Burgundy/Olive/Charcoal"
Braided Round Trivet - 10" - "Cranberries"
Table runners are an excellent alternative to full tablecloths. 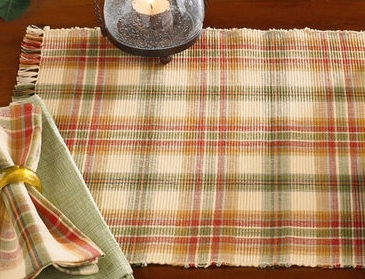 They add a pop of interesting color to the center of the table and need to be washed far less often than tablecloths. 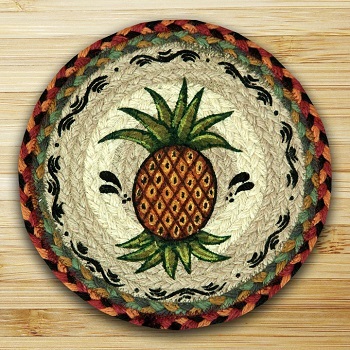 They also make the perfect base for your decorative centerpiece. 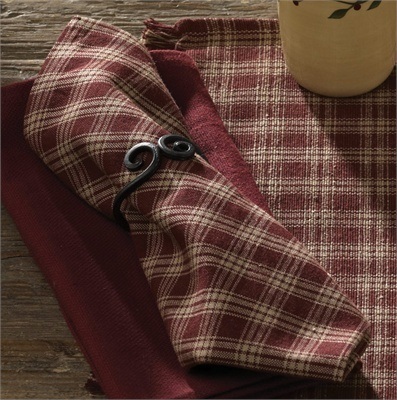 Our table runners come in both rectangular and oval shapes so that you can find the right one for your table, no matter the shape. 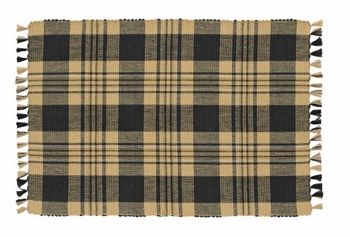 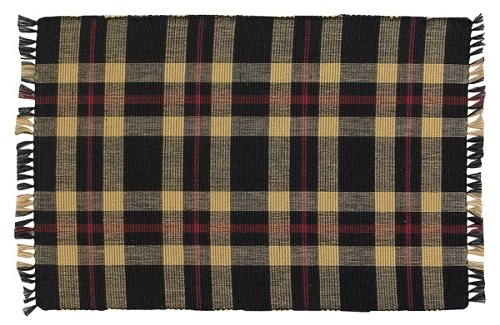 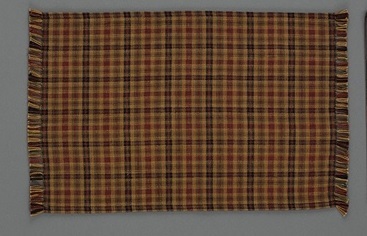 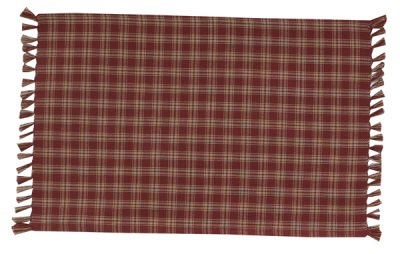 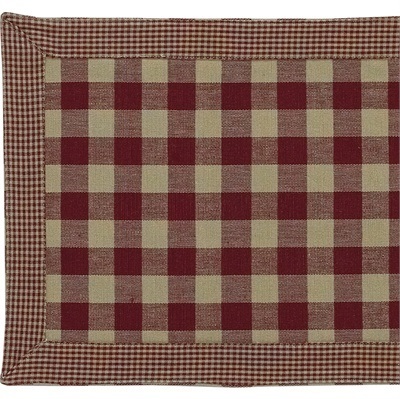 These fabric table runners come in a variety of different country prints, such as plaids, checkerboard prints, geometric patterns and stripes. 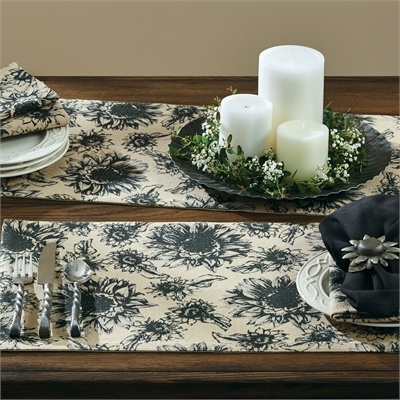 Some solid color options include a black table runner and placemats as well as other matching sets. 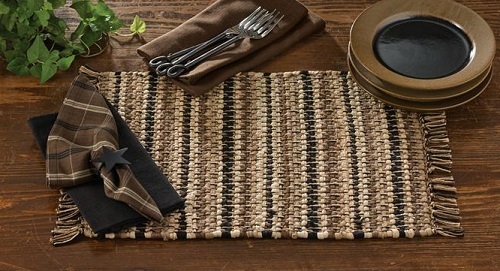 Other options include braided table runners and burlap table runners with embroidered edges. 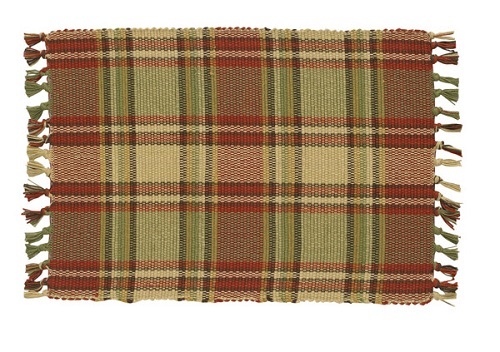 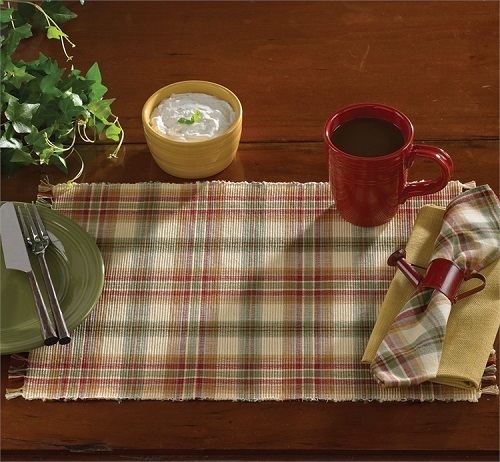 The country placemats in our collection come in an even larger variety of colors and prints than our table runners. 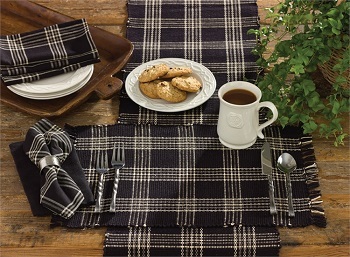 Choose from floral prints, plaids, geometric prints and placemats printed with inspirational messages. 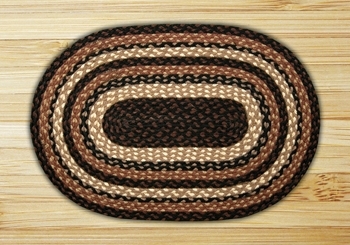 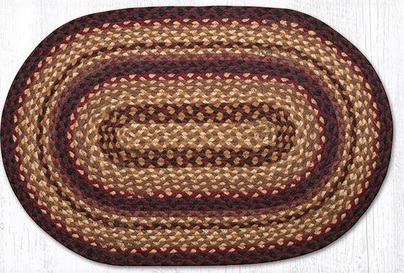 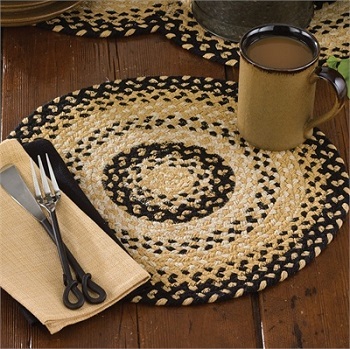 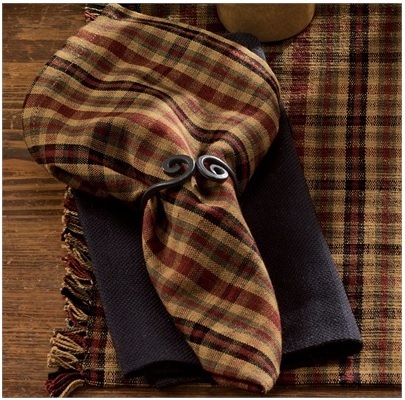 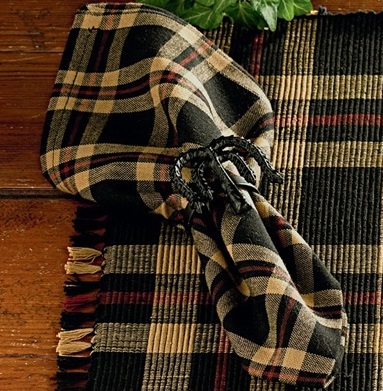 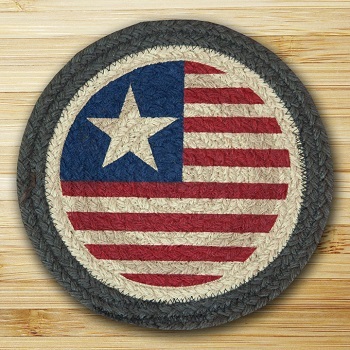 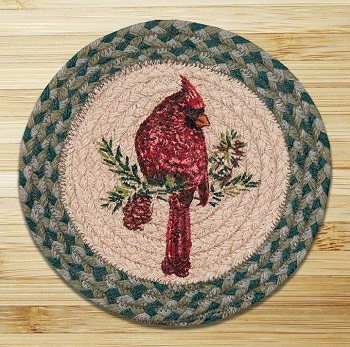 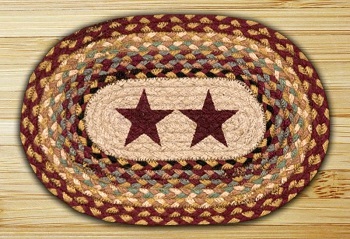 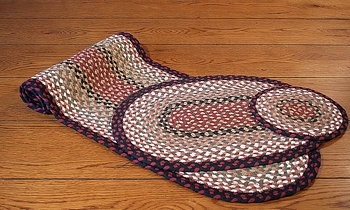 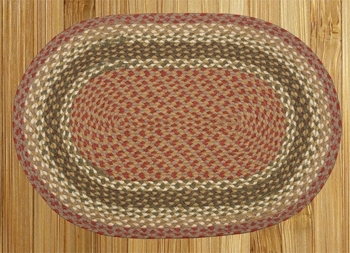 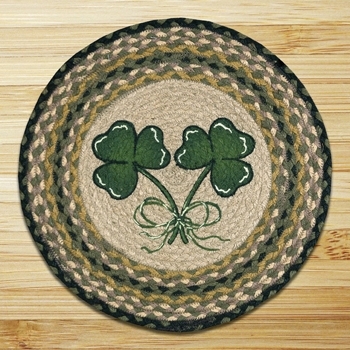 We offer quilted placemats, braided placemats, country burlap placemats and more. 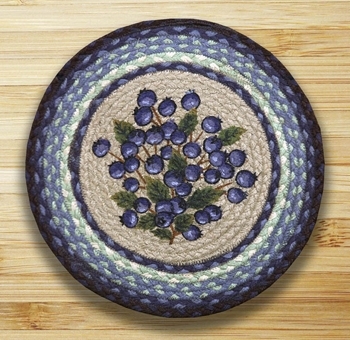 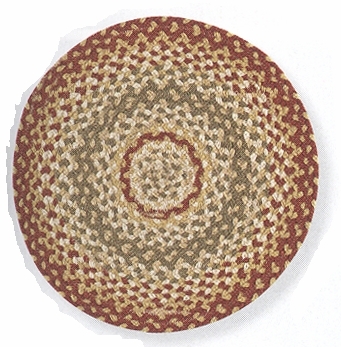 These placemats are also available in several different shapes and sizes to fit a variety of different table shapes. 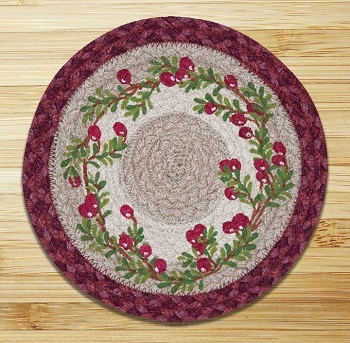 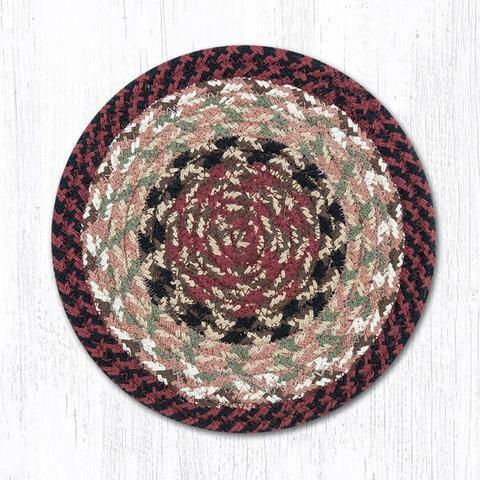 Opt for a traditional rectangular placemat or choose oval or round placemats for oval table settings. 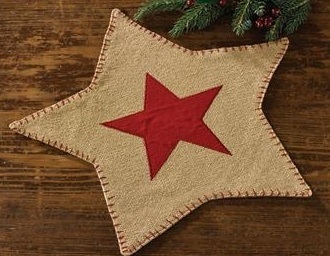 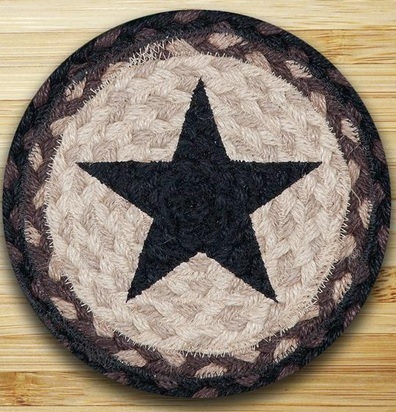 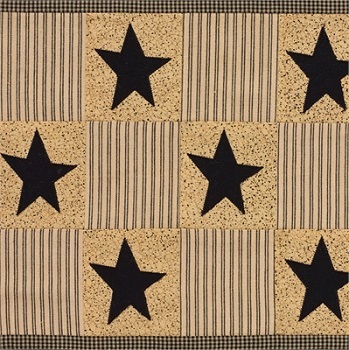 Get creative with your decor by choosing a star-shaped set of placemats. 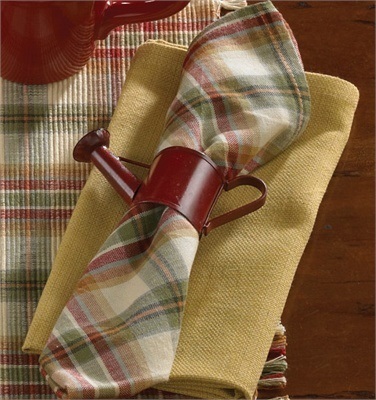 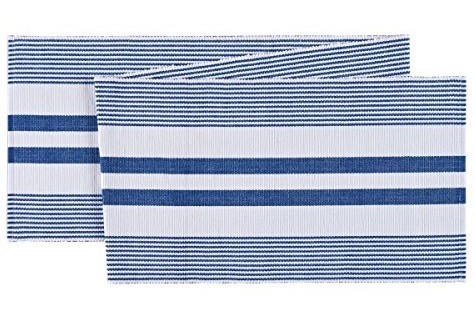 Pair your table linens with chair pads, dish towels and napkins to complete your kitchen decor. 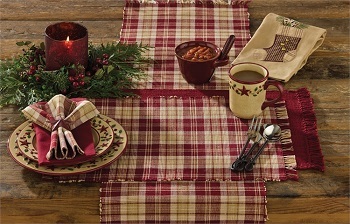 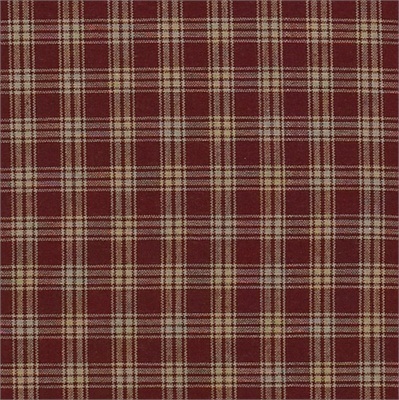 We also offer a selection of holiday table linens as well as everyday table linens to suit every taste.